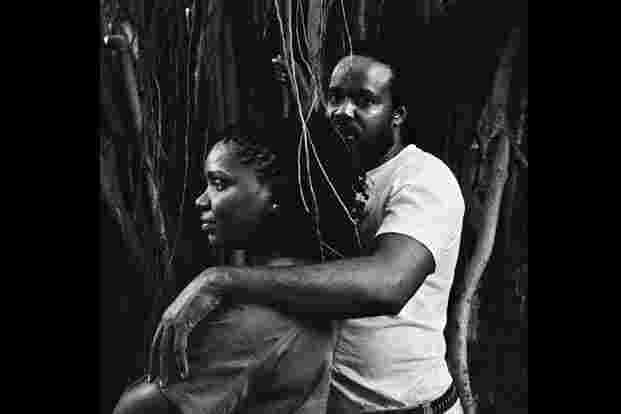 When eminent photographer Ketaki Sheth went looking for lions in the Gir National Park in Gujarat in 2005, she also found a sanctuary for Sidis, or Indians of African origin. Sheth’s journey to Gir took her through Sirwan, a Sidi village. Intrigued by the community, which has been in India for over a millennium, Sheth returned the next year to Sirwan and other parts of Gujarat, where the bulk of the Sidis live, to capture their daily rhythms and community rituals. 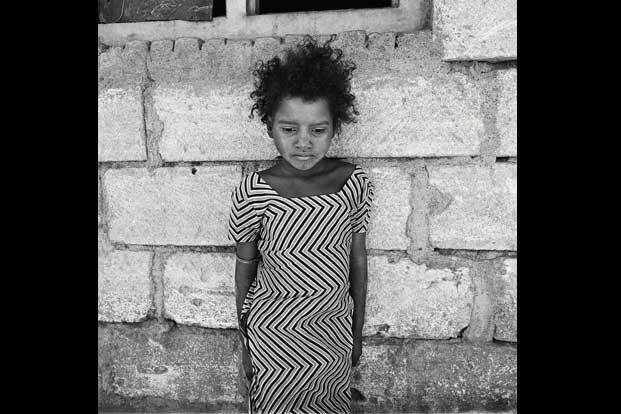 After five years of documenting the social and religious practices of the community, Sheth has compiled her effort into a book of 75 full-page images and close to 15 smaller ones, A Certain Grace: The Sidi, Indians of African Descent. Photoink will hold an exhibition of the photographs in Delhi in September and in Mumbai next March. 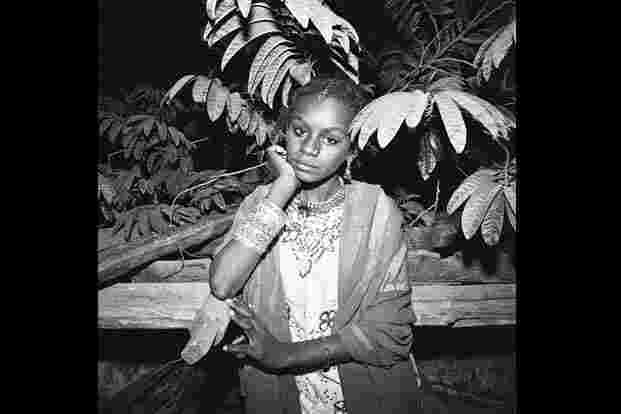 A Certain Grace—The Sidi, Indians of African Descent: By Ketaki Sheth, Photoink, 108 pages, Rs1,500. 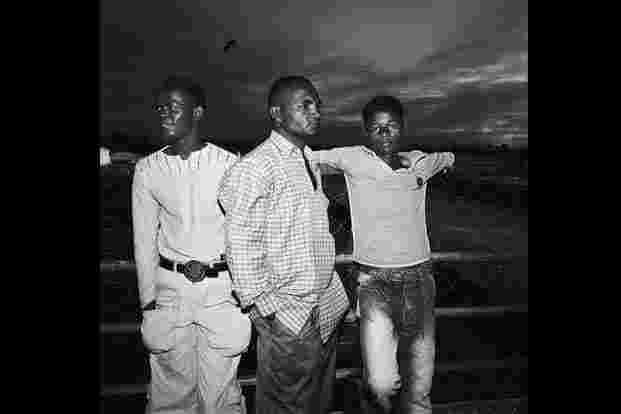 Mamdani traces the history of the Sidis in India and probes the community’s links with Africa. “Unlike with people of African descent in the Americas, the Sidi communities of India are not bonded historically by the experience of slavery," writes Mamdani. “To begin with, not all came as slaves; a significant number came as free persons. Furthermore, unlike the slave experience in the capitalist plantations of the Americas, most slaves of the pre-modern world were joined to dynasties and households…"
A Certain Grace mostly comprises haunting portraits of Sidi men, women and children looking either directly into or away from Sheth’s 28-year-old Mamiya 6 medium-format rangefinder. The pictures balance intimacy and distance—they testify to Sheth’s involvement with her subjects but also indicate her consciousness of her outsider status. “Sheth’s photographs are rendered in a square format, eliding the traditional extensions of landscape and portrait orientation," Bester writes in his afterword. “Free from the rectangular frame, Sheth’s essay is an accumulation of photographs inhabited by people that, in their ebb and flow, towards and away from the subjects, make visible different senses of family and community." 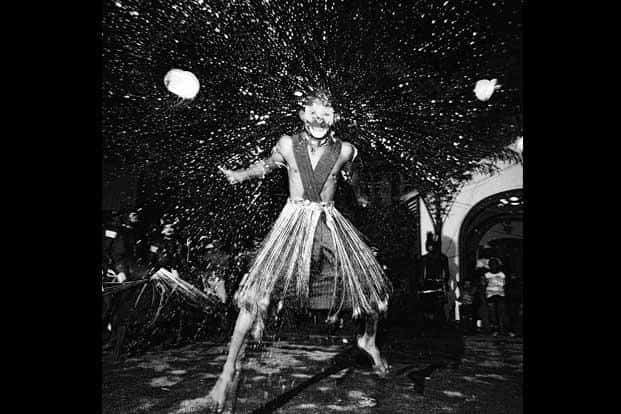 Sidi dancer shatters a coconut on his head during a performance. Photographs by Ketaki Sheth. Sukhi, a young resident of Jambur village. Juje and his wife Juliana near their house in Mumbai. Rizwana from Ratanpur is all dressed up for a wedding. 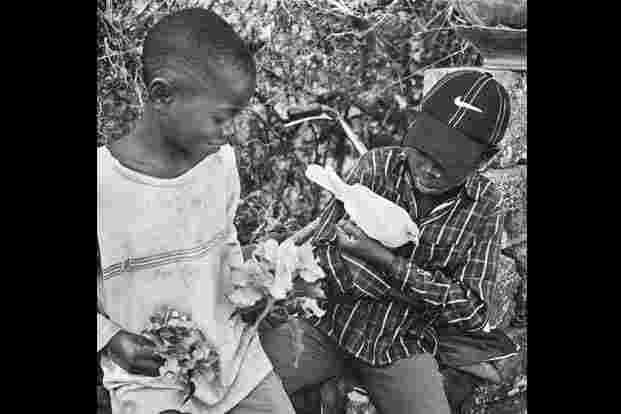 Two boys play with a bird in Sirwan. Young men from Rander on the banks of the Tapi river in Surat. There are also photographs of Sidi children horsing around, adults worshipping at a dargah, engagements and weddings. Sheth initially wanted only portraits, but changed her mind after she realized the centrality of religious worship in the lives of the Sidis. “They are deeply religious people without being fanatic or exclusive," says Sheth. “A lot of their lives are spent in the dargah, that is where the community meets. I knew I couldn’t only do portraits. Even while editing the pictures, I was trying to do a mix between controlled portraits and what I saw on the street." As with all her work, the pictures are in black and white. Sheth does plan to switch to colour, but that’s for another time and another project. “When I studied photography in New York in the late 1980s, the greats of the world were photographing in black and white, and we were taught the greats," she says. A Certain Grace will be launched on 22 March, 5.30-7.30pm, at Jnanapravaha Mumbai, Queens Mansion, Third floor, G Talwatkar Marg, Fort, Mumbai.